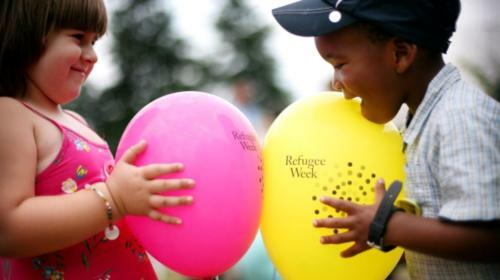 This week is Refugee Week, a nationwide programme of arts, cultural and community events, which brings people together to learn more about each other and recognise the massive contribution refugees make to society in the UK. It is the perfect opportunity to welcome people to the city and celebrate the richness that refugees bring to our communities. First, you can get in the know about what the term ‘refugee’ means and read and share stories from refugees themselves. Empathy fuels action! Volunteer, help out, lend a hand! Volunteering doesn't have to be complicated or a huge time commitment – it is just helping out and doing a bit of good for others. That’s why it's great that Refugee Week team have put together 20 Simple Acts we can do to celebrate Refugee Week’s 20th anniversary. They're asking everyone to choose an act, do it during Refugee Week 2018 and then share it on social media using the hastag #SimpleActs. Volunteering, apart from making a huge difference to organisations helping others, has the added benefits of making you feel more connected to your community. There are plenty of opportunities for people in Manchester to volunteer with organisations working to support refugees and asylum seekers in the city all year round – so if this week is just the inspiration you need then check out all the opportunities the Volunteer Centre Manchester have to support organisations helping people to make a new lives here in Manchester. Sometimes there is confusion around whether or not refugees and asylum seekers can volunteer. 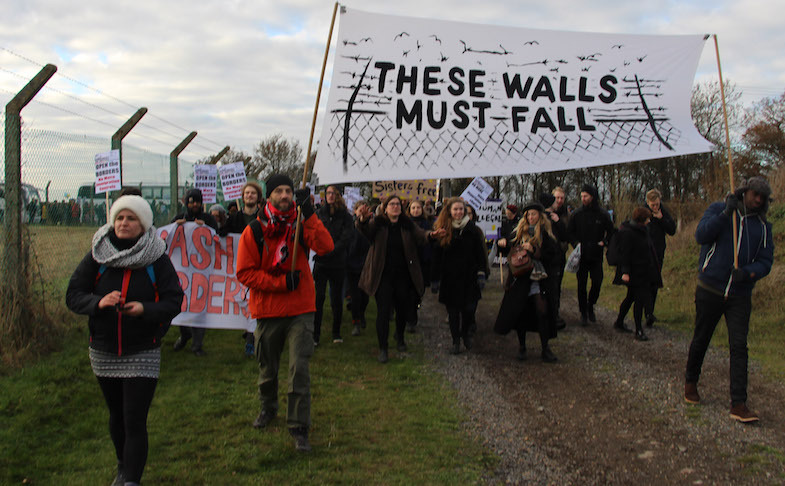 Refugees, asylum seekers and refused asylum seekers are allowed to volunteer in the UK with charities and public sector organisations throughout and following the asylum process. So if you are currently seeking asylum here in the city, firstly, a big Welcome to Manchester, and secondly make sure you get in touch with the British Red Cross’ Flourish project. They are there to support refugees to find meaningful volunteering roles so it’s the perfect place to start your volunteer journey. For inspiration you can check out stories from our sister organsiation Volunteer Centre Sheffield about the contribution refugees and sylum seekers are making to voluntary organsiartions across Sheffield. Organisations can also get in touch with staff at the British Red Cross Flourish Project to provide meaningful volunteering opportunities and involve refugees in their work. If you are from an organisation, making sure your volunteer opportunities are reaching out to those who are seeking refuge in Manchester can make a massive difference in making refugees feel valued, more settled and part of your community. You can find helpful information on the Know How Not for Profit website. You could also show your support and learn more by attending one of the many events that are happening in Manchester and throughout the North West. Rainbow Haven are hosting a special concert in celebration of Refugee Week. Crisis Choirs, a refugee choir based at Rainbow Haven in Gorton, will be performing songs from around the world in languages including French, English, Swahili, Tigrinya, Farsi, Arabic, Kinyarwanda and Albanian in the beautiful setting of Gorton Monastery. HOME is also hosting a full programme of theatre, film, art and performance co-produced with Community Arts North West. This will showcase the work of contemporary refugee artists from the region, raise awareness, challenge stereotypes and bring the communities of Manchester together. You can also join Manchester Refugee Support Network, British Red Cross, Refugee Action, Rainbow Heaven, and Revive along with Manchester FA, Manchester City Council, University of Manchester and Art reach who are coming together to host a Refugee World Cup, Family Fun Day and Refugee Cultural celebration on Saturday 23 June 2018, at Albert Park in Salford. You can find more events happening in the North West on the Refugee Week website. There will also be another chance to celebrate the artistic talents of refugee and asylum seeker artists later in the year as Journeys Festival comes to Manchester this October. Refugees and asylum seekers need support, a warm welcome and recognition for all the good they bring to society in the UK all year round. There’s plenty of organisations referenced in this blog would be happy to hear from you whenever and you can always get in touch with the Volunteer Centre Manchester to find out more about any type of volunteering. That's what we're here for, to support you to do more good and useful stuff in our city!